The Hercules H-901 Highway All-Steel Commercial ST - Added Strength for the Extra Mile. The H-901’s enhanced ST class builds on an already strong foundation, adding more muscle for the agricultural, industrial and other tough jobs that demand it. 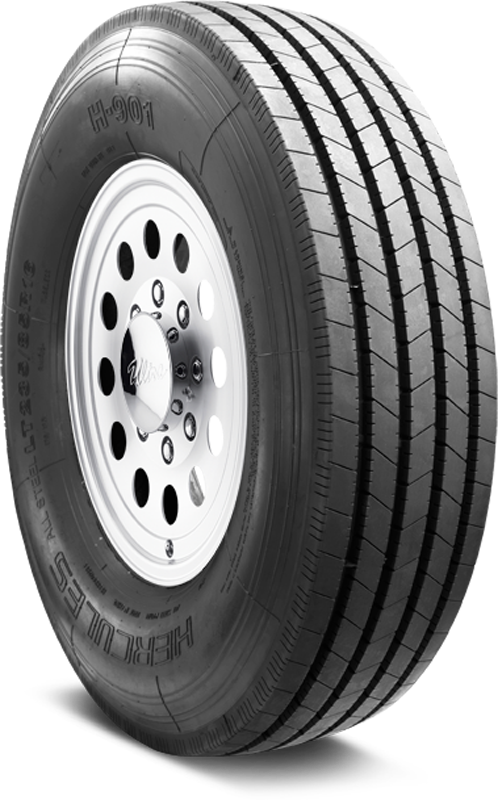 Combining greater carrying capacity with rugged construction, the ST offers enhanced stability and strength to create a puncture-resistant tire capable of hauling the heaviest loads in the most extreme environments. 5-Year: Backed by a 5 year Limited Protection Policy covering defects in workmanship and materials.